Q: What is the “UCL to Mars” program? 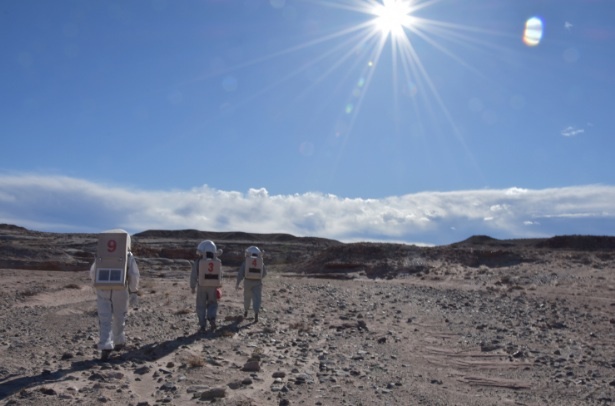 “‘UCL to Mars’ is a simulation of a scientific Martian mission. The participants are students who self-organize, passing the baton from one crew to the next, raise funds by themselves (contacting several companies as sponsors), and receive some spontaneous support by professors and researchers of the university. 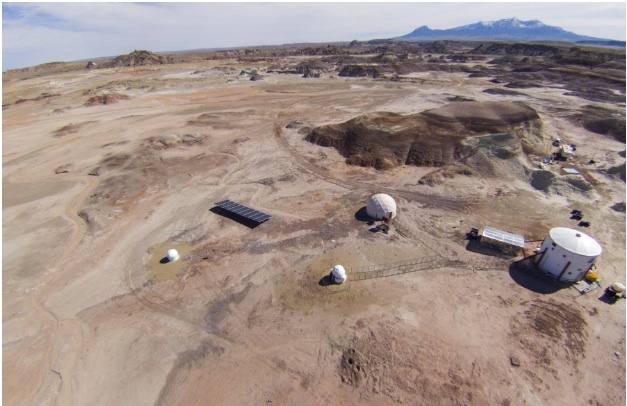 The local infrastructure in the Utah desert, the so-called Mars Desert Research Station (MDRS), is maintained by the Martian Society and accepts crews from all over the world. Since 2001, about 200 crews were hosted at the MDRS. 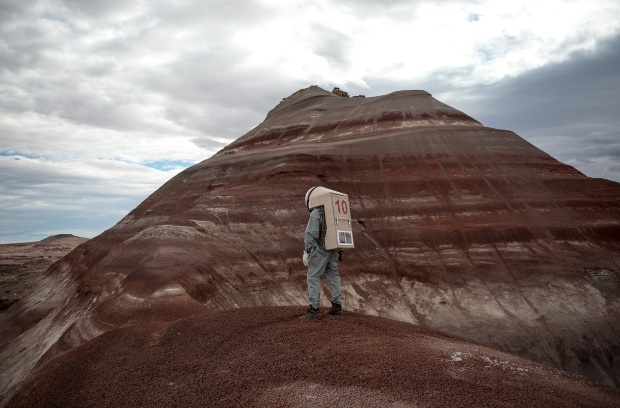 “UCL to Mars” has been among the most regular users, sending one crew per year for a decade. 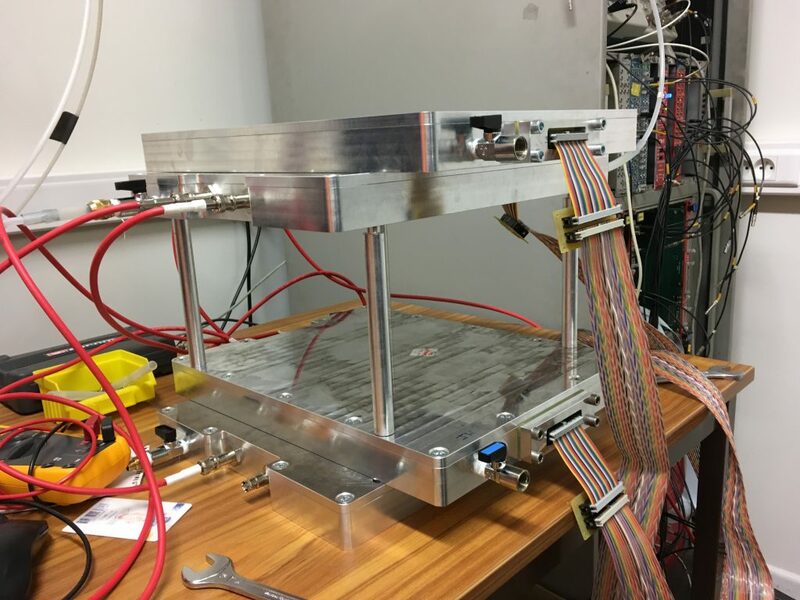 “UCL to Mars” 2018 was a pilot experience from the point of view of our R&D project (although some of the previous “UCL to Mars” crews had already brought and operated scintillator bars and performed a measurement of the muon flux), so since the start we did not plan to take real muography measurements with our setup, but just to explore the logistical feasibility before getting more ambitious, and of course learning from experience. And we learned a lot! Q: The UCLouvain team developed a new, compact, lightweight, gas tight and robust prototype gas detector with some assistance from the University of Ghent. 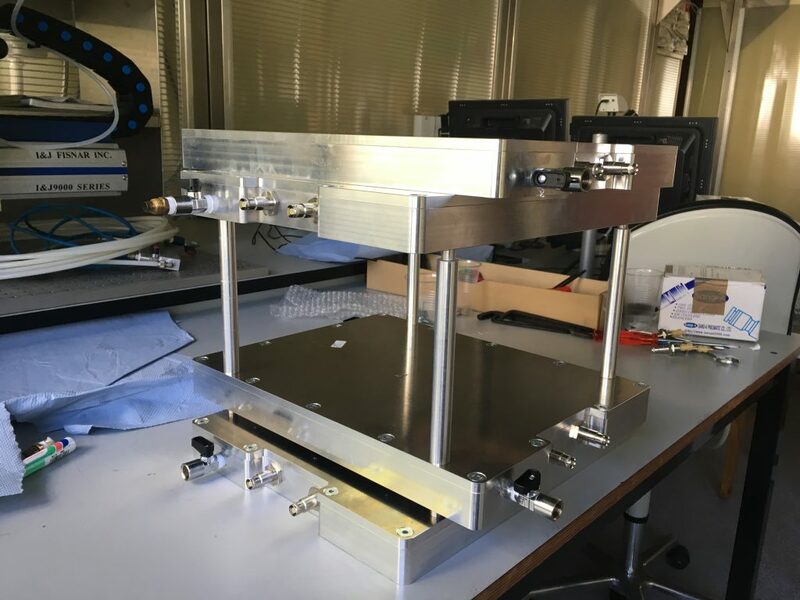 Could you describe the contributions of the University of Ghent towards the development of this muography detector? “We would like to acknowledge the crucial role of Michael Tytgat’s team at the University of Ghent, and in particular his graduate students Antoine Pingault and Alexis Fagot. Q: How did you conduct the gas leakage tests? 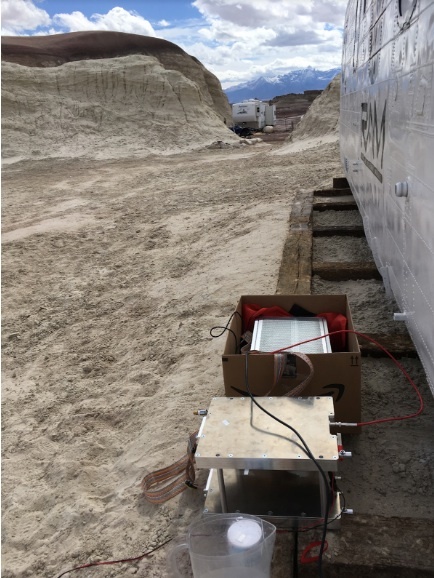 Did you do these tests on site at the Mars Desert Research Station or later on once the detector was shipped back to the UCL laboratory? Q: What are your objectives for this project in the coming year? Do you have plans for further field-testing outside the laboratory setting? Q: Would it be possible to implement a muography gas detector for an actual mission on a spacecraft for surveying other planets, satellites and asteroids? If so, what would be the biggest challenges you would have to overcome in order to do this? Q: Did you find that there were any advantages to field-testing this detector prior to testing it in the laboratory setting? Q: What environments or situations would be particularly suitable for real-world applications of this portable gas detector? Q: Could you describe the application process and some of the activities students are involved with in the “UCL to Mars” program? “After each mission in the Utah desert, the last task for a crew before self-dissolving is to select the members of the next crew. An open call for applications is advertised in the university and competition is fierce as only 7-8 members are allowed per crew. Moreover it is important to maximize its diversity. Selection criteria include: being a student at UCLouvain (at all levels up to PhD), having a meaningful scientific project to propose, strong enthusiasm and a good teamwork attitude. Q: What were the specific logistical conditions that were tested? “The detectors were completely built and gas-filled in Belgium, and this simplified a lot of things with respect to the option of assembling in situ. Nevertheless we had to face several logistical issues related to sending and manipulating them in a desert. First, the trip to USA in itself was constraining. A solid wood box with polyethylene foam or bubble pack inside was used to contain the detectors and electronics. Secondly, working in the desert means sand and sand is a pain, as it can leak into the detectors while you operate them. The wind had also to be taken into account. In order to offset these effects, our boxes needed to be completely tight, not only to prevent gas leaks but also against sand/dust infiltration. And they had to be heavy enough to not be carried away by the wind, while at the same time light enough to be easily portable. 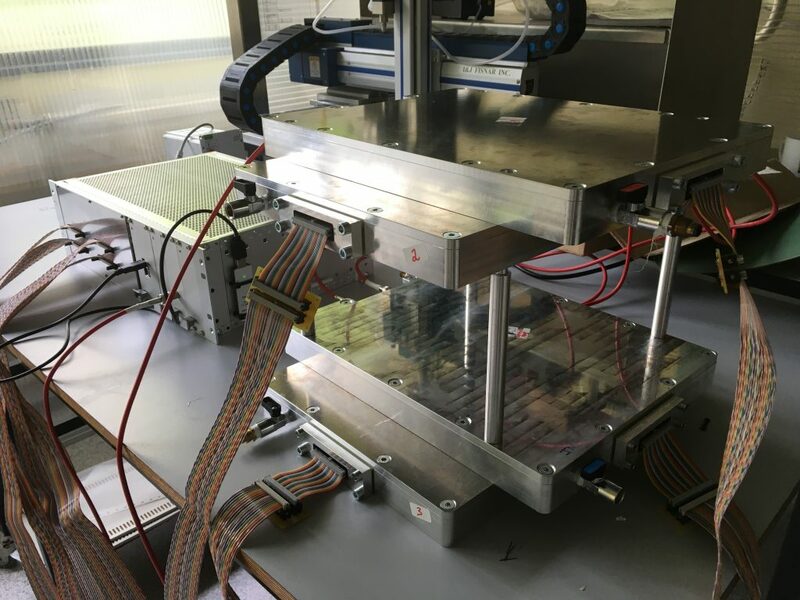 For this purpose, we used solid aluminum boxes closed by means of seals coated with vacuum grease. With all these special precautions, the detectors survived a two-weeks trip to the US. Another issue was the voltage. Q: Do you have plans to return to the Mars Desert Research Station for further testing with a future “UCL to Mars” mission? Since its beginnings (the first crew assembled in academic year 2009-2010) until 2017, “UCL to Mars” used to be a rather informal student activity. As years passed, “UCL to Mars” attracted more and more media attention, also thanks to the students’ enthusiasm in organizing outreach seminars and meetings with the general public, not to mention their social media presence (see for example their lively facebook page: https://www.facebook.com/ucltomars/ ). As “UCL to Mars” appeared more and more often on the national press and television, the UCLouvain authorities took note, proud of the achievements of these students. Finally, last year, it was decided to make “UCL to Mars” a registered not-for-profit organization under the official aegis of UCLouvain, which implies the presence of a UCLouvain staff member (as “academic reference person”) in the Board of Directors, whose other members must all be UCLouvain students. Dr. Andrea Giamannco serves in this role since the establishment of the “UCL to Mars” not-for-profit organization. 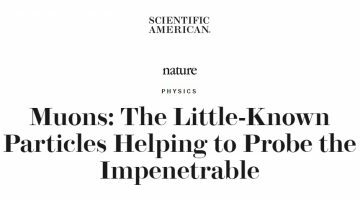 Published in the Cosmic-Ray Muography issue of the “Philosophical Transactions of the Royal Society A”.